Long before kids are old enough to start collecting "likes" on social media, they do appear to care what others think about them. Not only that, they behave in "surprisingly sophisticated" ways to enhance their reputations. Those are the main findings of new research that delves into the psychology of how social status impacts us even as young children. 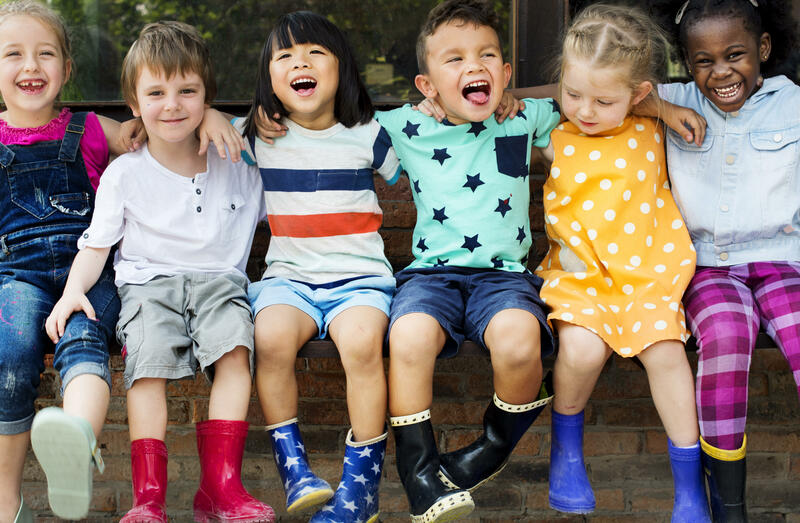 In a review published in the journal Trends in Cognitive Sciences, researchers analyzed several recent studies on the topic and found that this awareness can be seen in kids as young as kindergarten age. Ike Silver, a doctoral student at the Wharton School of Business at the University of Pennsylvania and one of the authors of the paper, told CBS News that the motivation for the study "was to bring together many lines of experimental research which all point to the same stylized fact: young kids care about reputation and will vary their behavior by situation and audience in order to cultivate desirable impressions." Self-presentation and judging those around us "are important components of adult social life, and we wanted to show that these sorts of considerations start to take shape earlier than previously understood," Silver said. The authors made several striking observations. For example, their research found that 5-year-olds behave more generously when they know they're being watched. A different experiment found that 6-year-olds acted more generously in front of people whom they knew they would see again as opposed to those they were less likely to see in the future. Another finding, Silver said, demonstrated that by the age 5 or 6, children are already rather attuned to people getting the credit they deserve. "They think it is wrong to steal credit for someone else's good idea or to blame someone by giving them credit for one's own bad idea," he said. Interestingly, the children reported feeling this way not just because they see lying as bad. The children, in fact, did not think it was wrong to falsely give someone else credit for their own good idea, which is also lying but doesn't harm the person's reputation. "Results like these suggest that by age 5 or 6 children are already able to solve relatively complex social reasoning tasks," Silver said. "They seem to understand on some level that people can get positive or negative credit for good and bad ideas respectively, and that there are OK and not OK ways to assign this kind of credit based on its reputational consequences." The paper did not look at how or when exactly these actions begin, but the authors say children seem to absorb them from observing the interactions of those around them. As such, Silver said these results could have some real implications for parents. "From a young age, children are motivated by how others view them and they also judge others for manipulating their reputation," he said. "It's likely important to keep this in mind when helping them navigate social interactions with other children and when modeling reputation motivated behavior, like modesty or bragging, in front of them." Future research, the authors say, should focus on answering such questions as what kind of experiences help children develop this awareness of their reputation, how cultural norms influence the process, and if parents and teachers can leverage kids' concern with their social status to encourage good behavior and discourage bad behavior. "We don't have answers to these questions or concrete recommendations yet," Silver said "but we're taking steps in that direction."